“She put her paw on my chest and ... she looked at me like, ‘You are my human.'" 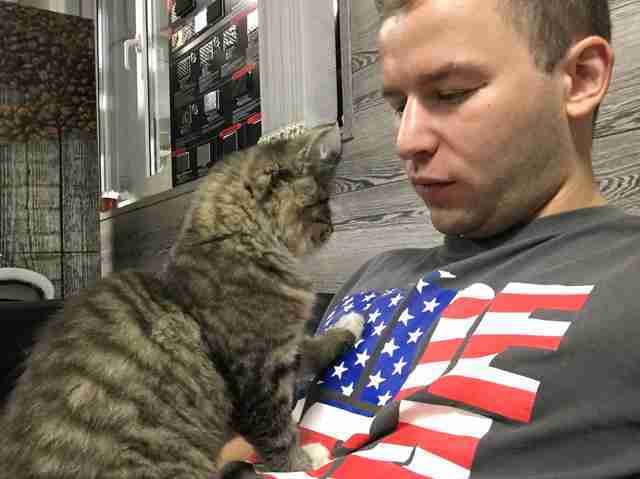 Kirill Georgiev was at work one day last year, sitting on one of the office couches, when a little kitten randomly wandered into the office — and jumped right into his lap. 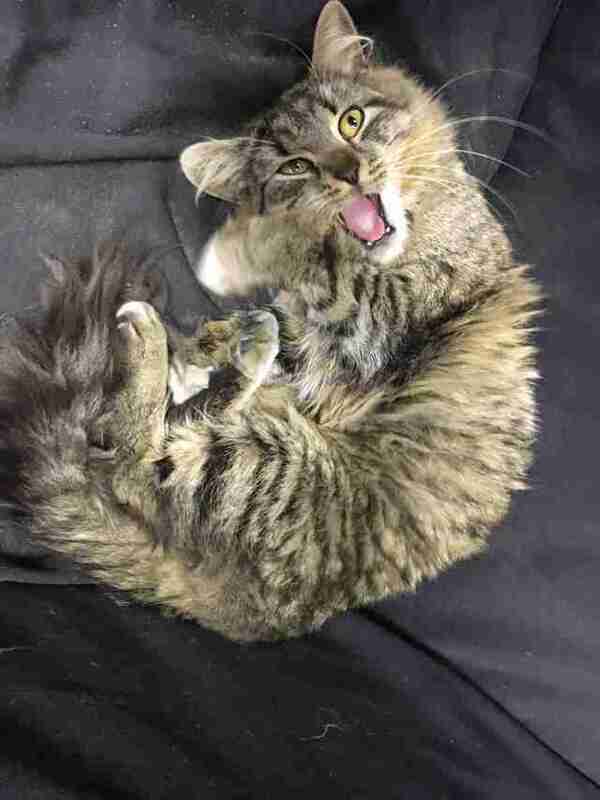 He wasn’t sure how to react at first, but the kitten was so sweet and clearly needed a friend, and he suddenly knew what he needed to do. The kitten seemed to instantly fall in love with Georgiev, and it was clear that she wasn’t giving him a choice. She had already decided that she was going home with him. “She looked at me like, ‘You are my human,’ so I adopted her,” Georgiev said. Georgiev took the kitten home with him that very day, and she quickly became a member of his family. She settled into her new home as if she had always been meant to live there. Now, a year later, she completely runs the house. She climbs up onto the roof and gets stuck, demands attention all day long and walks all over very important paperwork — and her new dad couldn’t love her more. He calls her Koshka, which is the Russian word for cat. 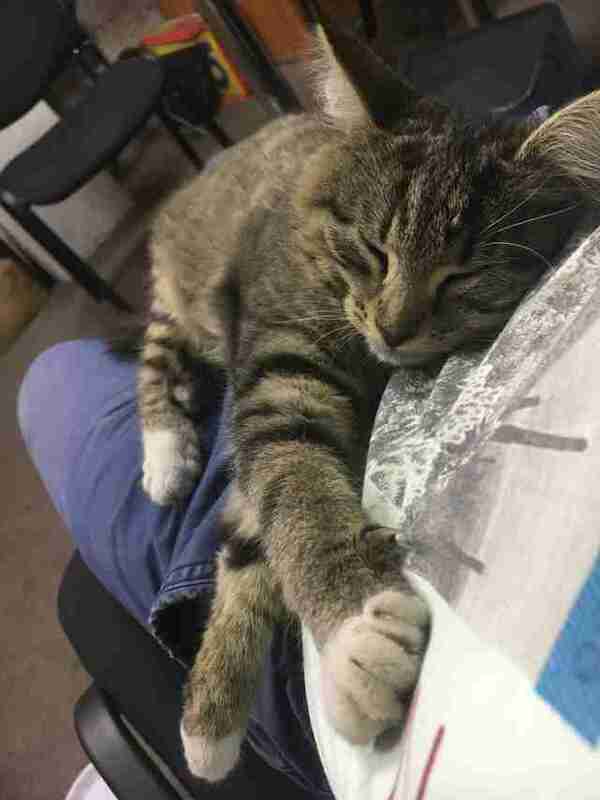 Koshka essentially chose her dad the day she wandered into his office, and recently, a stray dog decided to do exactly the same thing. 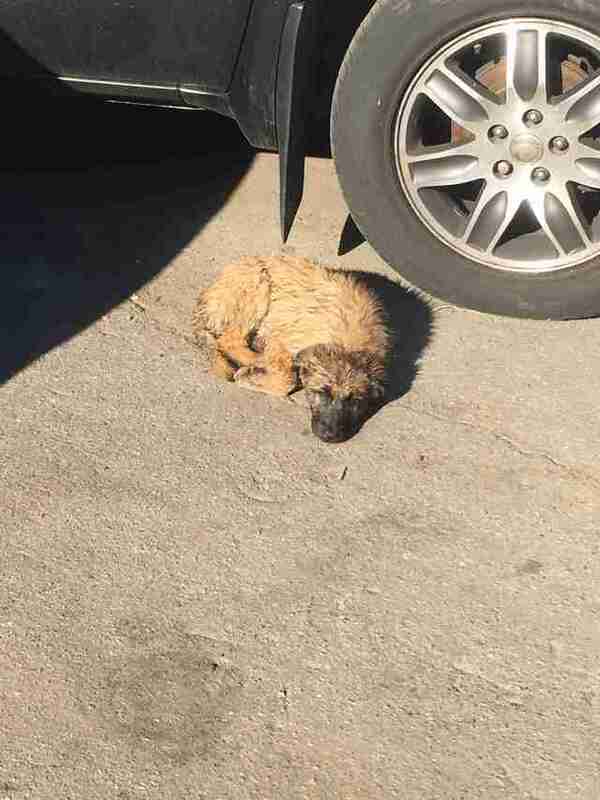 Georgiev arrived at his office one morning and found the stray dog sitting in front of the building. 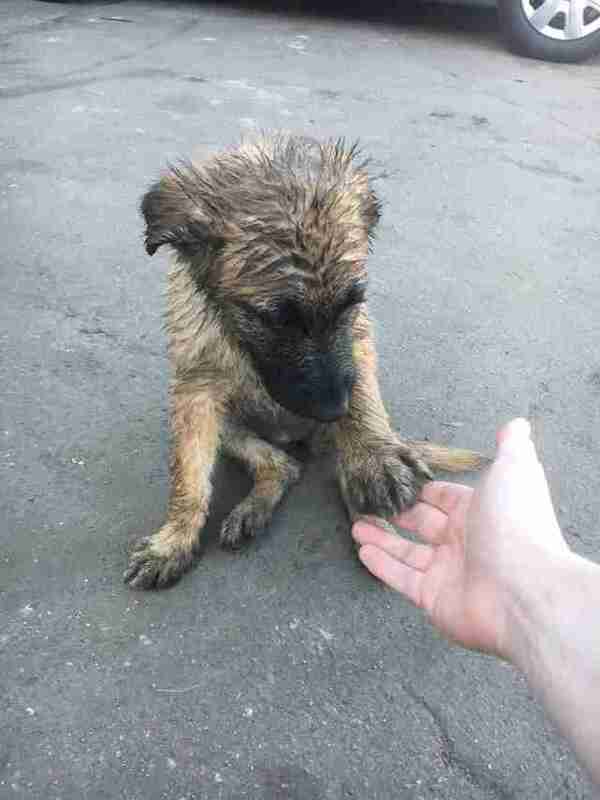 The poor dog was incredibly dirty, but otherwise seemed to be OK. She walked right up to him, and gave him the exact same look that Koshka had given him a year ago — and in that moment, he realized he was now a dog dad, too. He decided to name her Jessie, and took her home to join the other animal who had also chosen him. Jessie is settling in well to her new home and is super playful with her new dad, although she’s definitely a little scared of her bossy new cat sister. 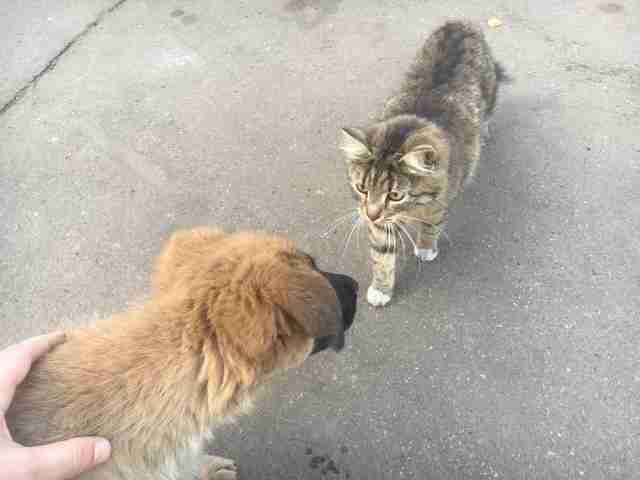 Georgiev is fostering Jessie for now and might try to find a new permanent home for her later. In the meantime, though, he’ll continue to care for her and offer her all the love she clearly wasn’t getting in her life on the streets, and hopefully Koshka will be a little more accepting of her new sister very soon. You can follow Koshka on her Instagram account.